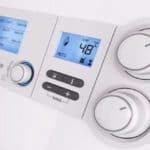 Plumber in London – A&C Heating and Plumbing Ltd.
My Plumber are your local London plumbers, here to help with all sorts of plumbing services across your home or business. When you need a plumber in London, you can depend on the local plumbing experts. With fast, local 24 hour service we can be at your London home or business today! Because our plumbers are experienced to the highest degree this will gives you a stress free experience. Our company provides a reliable services at a competitive price compared with our competitors. Our professional plumbing workmanship is world class. If you have a problem with you boiler or if it a dripping tap we have the expertise to complete the repairs day or night, give us a call now. Whatever your plumbing problem, make that phone call to us and get your plumbing repair solved no matter if it is domestic, commercial or industrial. 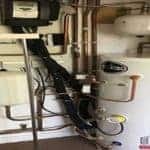 Our highly skilled Gas Sate Registered Engineers are experienced with all makes and model boiler, so for those difficult repairs that no one else can solve, we can solve them, so give us a call now. If you need a highly effective and effiecent plumber look no further. Our plumbers are extreamly skilled and certaily highly effiecent. Our plumber carry a large van stock so are normally able to handel most plumbing problems in a fast and efficent time. We have boiler and gas engineers also if your problem is not water related. Our emergency plumbers can be with you in under a hour, if you have a plumbing emergency use us we have plumber accross London and ready to help. The plumber will be well prepared and fully quailified you should expert that your repairs will be completed to the highest standards. 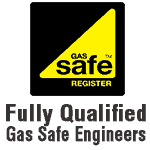 Our local London plumbers are gas safe registered, fully licensed and insured. We’ve helped thousands of customers across London with their plumbing needs. Pricing by the job, NOT THE HOUR ! 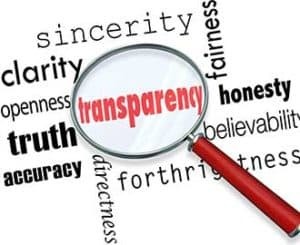 Customer Service is always our first consideration and we only undertake work we can manage with total confidence in our expertise. A job well done leaves a satisfied customer who will use our services again. In addition to our high level of expertise, we have some of the most competitive plumbing prices in London. No call out charges. Rates do no include cost of materials or VAT. For certain jobs we can give quotes either verbally or in writing. We are a very helpful company and are not limited to the following hours. If you need a plumber or gas engineer earlier or later please do not hesitate to contact us to arrange your visit. We price by the job, not the hour before we start any work. You will have complete peace of mind knowing the price before we begin, no matter how long the job takes you only pay the original quote. We listen to your concerns, offer solutions, perform the work you need, and clean up completely when the job’s done. Regardless of what time you need a “plumber in London“, at A&C Heating and Plumbing Ltd we do NOT charge any call out fees. We also offer all of our clients free no obligation quotations and estimates on all plumbing, heating and drainage works. 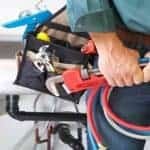 If you need a professional plumbing service to complete your repairs Call us we have plumbers who can fix or install any plumbing related product. Our plumbers and engineers are on call 24 hours a day and ready and waiting to help. 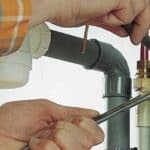 when your plumber or engineer arrives you should expert a professional experienced plumber who can assist you in completing your repairs. With a One hour response time and no call out charge, you can rest assured that when you need help, our Emergency plumbers are there to assist 24 hours a day, 365 days a year. Reliable and Professional Plumbers in London. Call 0800 1777 957 today!